If you’re in the mood for a snack that is lite & tasty, with a little Mexican flavor and twist – boy have I got the thing for you. A bean burrito with cheese, green chiles and lettuce – Mmm! Of course, you can add more to it if you’d like, this was my fast, delicious, satisfying, low cal and easy version, which fits my daily caloric allowance just perfectly! So I calculate that this burrito is about 4 points. That’s really not bad. You can add pickles, tomatoes, or other veggies to your burrito – most veggies are either very low points or zero points. OH ME, OH MY…IT’S BATHING SUIT TIME! The truth is, summer time is here and no matter how you slice it – it means wearing less clothing, especially here in AZ. And you certainly can’t go swimming in jeans. Eventually you are going to have to give your bod a once over, maybe a twice over, and take notice of what needs help. The 911 plan for weight loss should not be starvation. Just eat healthy! The ME-gan Lifestyle is extremely healthy, and unless you’re eating French fries and tator tots 24×7, there’s a good chance you’re going to lose weight. Remember, no matter what you eat, you still need to consider caloric intake. There IS a calorie limit per day – sorry, but it’s true. But sometimes being overweight isn’t the ‘only’ issue, it’s the extra skin and the sagging that has you singing the blues too. That’s when we need to just hit the floor exercising. There’s no other way to do it, is there? Running, jogging, swimming, aerobics, dancing, walking, whatever it takes – it needs to be done. (This is when I let out a really big S-I-G-H!). My fellow blogger at No Arizona(click here to visit his site) has a really cool site for those who would like to ‘vent’ about living in Arizona. 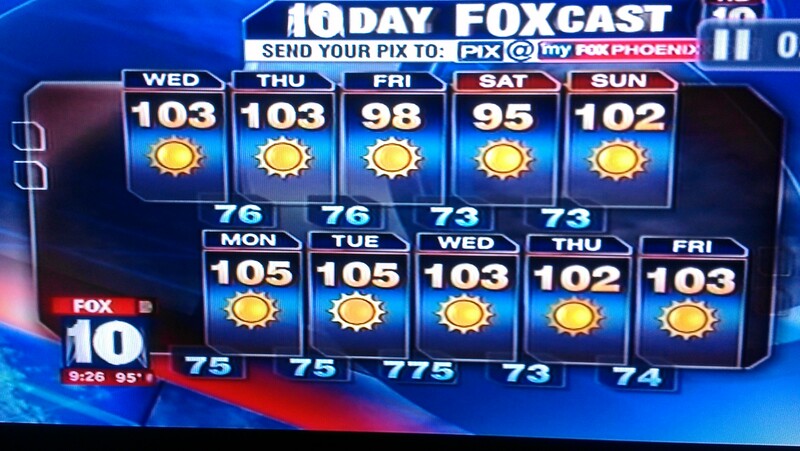 Sure…we love Arizona, but you just gotta hate it too! It’s hotter than hell, scorpions are on the loose and if you don’t carry water with you at all times, you’re just gonna die! I have been a guest blogger on his site a couple of times, and I’m sure I’ll be again very soon. It’s actually a brilliant idea especially for those of us who are here, but simply do not want to be and can’t understand why we are. The truth is usually funny, so stop by his site and share your NO ARIZONA comment with the rest of us readers! I posted the below article on NO ARIZONA last week, but thought I’d share it here on my blog as well. I’m sure you’ll enjoy! Welcome To The Valley Of The Sun; You Can Check-In Anytime You Like, But Can You Ever Leave? Come one, come all, just don’t come until the fall! If the sun and heat won’t kill you, then breathing dirt will. As you have heard from the previous posts on this site, Arizona has been dealing with extreme heat and burning fires. It’s like the old saying…kick me while I’m down. Can it get any worse? Summers here are truly unbearable, and totally illogical. Seriously, why? I mean, the only reason I can think of to live here is if you are a sports figure who is making bazillions of dollars. Then fine, live here, but I’m sure you’ll fly the hell out of here when you’re not playing! 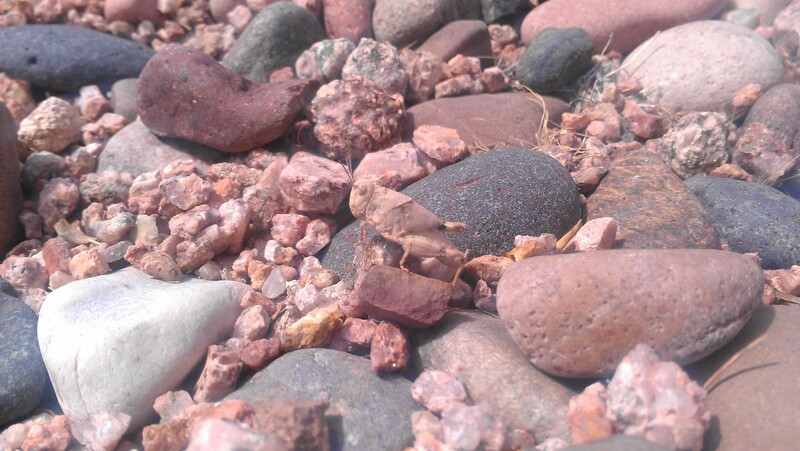 I was walking the other day (before it hit 110 that morning) and I don’t know how I spotted this little guy, but I couldn’t figure out if he was camouflaging or if the heat and sun had just soaked all his color from him? Yesterday and today the winds have picked up here, and gusts of 30 mph are expected. This is that DRY Arizona heat that you hear so much about. It’s like being in a blizzard of excruciating heat, sun, and dirt! High winds in the desert and scorching temperatures are not a great pair. BUT thank goodness we have our pools to get into. Just pile on that sunblock, throw a t-shirt over your bathing suit to block as much sun as you possibly can, wear the biggest hat and pair of sunglasses you can find, and you may just enjoy that 90 degree temperature water…R-I-I-I-G-H-T!! Last week as my husband and I were watching the weather report we were remarking how there are always bright sun balls – it gets so tiresome! But this time one of the ‘low’ temperatures read: 775 degrees. We had to stop and freeze it to get a picture. I wonder if anyone else ever noticed it. We thought it was hysterical. Ironically, the low temps feels that hot at times. 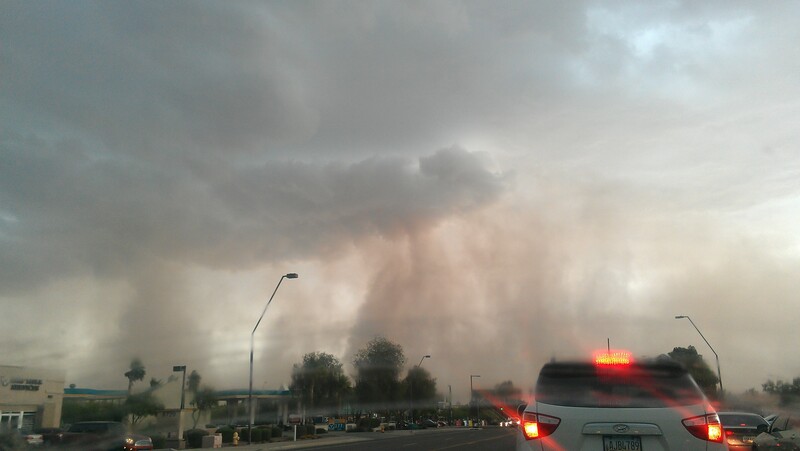 Yes, Arizona is full of obnoxious weather. About two weeks ago we actually had what was quite similar to a monsoon, but it’s only MAY! It was odd to say the least. As I was driving in the middle of it, this huge strange looking cloud came out of nowhere and burst open. It was a scary sight and I could not believe what I was seeing. I think I rubbed my eyes a couple of times before I decided to take a picture of it with my cell phone. It’s a classic if you ask me. I’m not quite sure I’ve ever seen a cloud like this. But hey…maybe the heat distorts camera lenses too? Welcome to Arizona, I just happen to have the perfect home for you to buy! Sweating hot Arizona love to you! Click here to listen to ARIZONA by Mark Lindsay! Veterans Day in November is dedicated to the honor of all veterans, past and present. Memorial Day, is a special day set aside for those who have died in service to their country and for all of us. However, it’s difficult to think of some without remembering all. Today we remember and pay our respect to ALL of the 42 million men and women who have served in our military since George Washington’s first Army fought for our independence, and the over 2.5 million who have been killed or wounded. In more recent times we remember World War II, Korea, Vietnam, Desert Storm, The First Gulf War, Iraq and Afghanistan, as well as conflicts in Somalia, Grenada, The Balkans, and Panama. We also remember our young men and women of today, who return from war and need assistance getting adjusted into civilian life once again. Look into their eyes, embrace them and say “Welcome Home.” If you are in a position, or know someone who is, to hire these vets, then please do so and assist. They full heartedly served us, so let’s not hesitate to serve them. Reach out to these returning soldiers with a kind word and warm smile and offer a helping hand, because they and their families need it more than most of us realize. God Bless the USA, and God Bless our Troops! 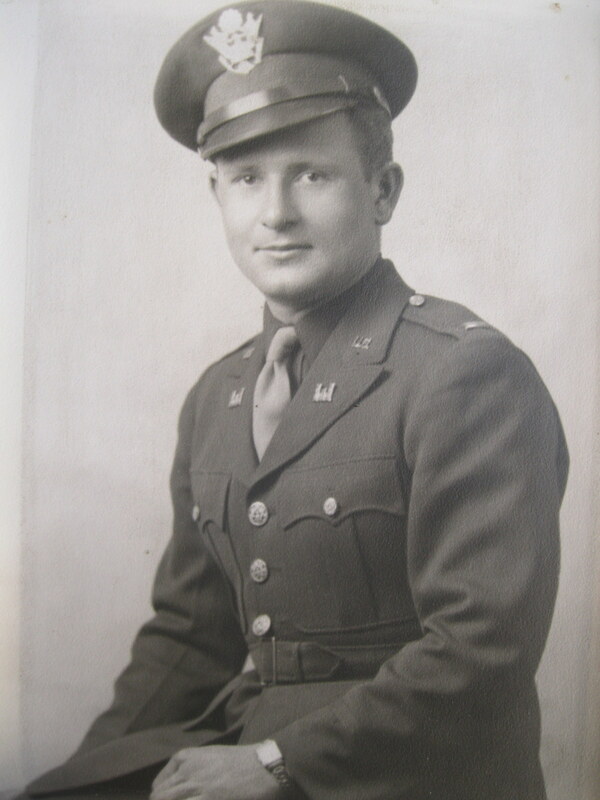 Returned War Veteran, Keith F. Bortel, WWII – Officer US Army. Thank you for your service! Check out SiriusXM all weekend long on channel 6 and enjoy the Beach Boy’s Endless Summer Weekend! The perfect soundtrack to a Red, White & Blue ALL AMERICAN weekend from America’s original Rock’n Roll band! Their harmonies are incredible and taken to perfection by the studio musicians known as The Wrecking Crew! Be safe and enjoy your Memorial Day Weekend! God bless the USA and all our vets who have paid the ultimate sacrifice for our freedom! They will never be forgotten! 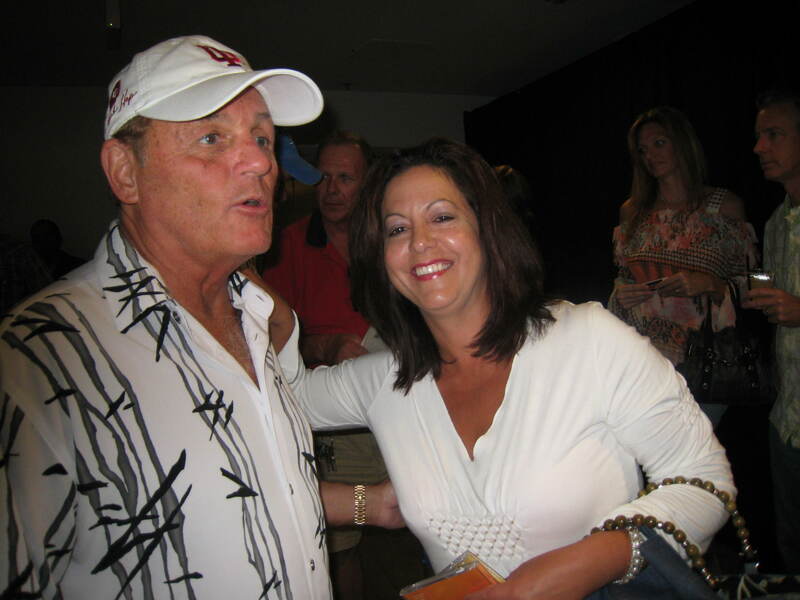 Lee & I got to meet Bruce Johnston and Mike Love backstage at a Phoenix Beach Boys concert in 2007. Uggg…I wish it would have been after I lost my 35 pounds! Oh well…gotta appreciate those ‘BEFORE’ shots! Keeping a journal and taking photos are two brilliant ways to document your pain to gain. And that’s not ‘gain’ as in weight gain, that’s health and happiness gain! That’s right…the road to success is long, but once you’ve achieved your goal you will appreciate that you took the time to track it all. Looking back and seeing your ups, downs, stumbles, falls, rising ups and the ability to press on, is priceless. I’m talking about losing weight. It’s a struggle, and there’s no easy way around it. But change only happens with change. The major steps in losing weight are exercise and eating healthy. I once had a trainer tell me that if you are only motivated because of other people then you’re setting yourself up for failure. You know…perhaps there’s this guy you met and you want to look better for him hoping that he’ll be interested in you, or there’s a woman you keep running into at the grocery store and you want to lose that belly to get up the nerve to ask her out. His point was that this is false motivation. If you can’t lose the weight to look and feel better for YOURSELF, then doing it for others will not last. People can (and will) come and go from your life so then what? What happens when they leave, do you put the weight back on? Keeping a journal and taking photos along the way is crucial. When we are experiencing excruciating pain we cannot think past the pain. We cannot imagine the next day – we are living in the very second and not a minute beyond. It’s the same with dieting and losing weight, it’s not enjoyable. We just want to get over it and never look back. But, pain warps our thinking; it causes us to be unrealistic and resort to things we wish we hadn’t. In the case of losing weight, we may just devour a dozen donuts due to unbearable pain and emotions we are experiencing. We ‘think’ we are hungry; we feel sorry for ourselves – poor me, I’m an adult and I can’t even eat what I want; we are depressed because we are miserable in many ways due to the extra weight, and dieting is just making it all worse; and sometimes we even get angry because of all the changes our mind and body are going through from dieting. I certainly experienced all of these emotions when I decided to change my lifestyle and become ME-gan. I didn’t ease into it; I dove into it from one day to the next; I did it first by removing gluten, then became a full vegan. Easing into it only prolongs something you really haven’t put your heart into anyway. If you are ready, trust me, you will just DO IT! No ifs, buts, or maybes. I used to wonder why people don’t get addicted to healthy foods like apples, avocados, mushrooms, etc.? But the key word there is ‘addicted.’ We get addicted to junk food because of chemicals. Chemicals are addicting; take narcotics for instance. It’s very easy to get addicted to pain medication. But health food is all natural. Mother Nature put it on this earth to savor, to enjoy, to thrive off of, not to be ADDICTED to. Food is not supposed to be addictive! We are to eat to live, not live to eat. It’s that simple. I’ve heard it said that the great past time for Americans is eating out. Truthfully, I think it’s a global affair. Try making plans for once that do not include FOOD – just try it. Ask your partner what you’re going to do tonight and see if their first reaction isn’t to go to your favorite restaurant to start off the long weekend by chowing down and over indulging in all the wrong foods, and then top the evening off with some adult beverages. Am I right? I don’t think a night spent at home playing backgammon and sharing a fruit & nut platter is on most people’s agenda, do you? It’s actually on mine though – :). Lee and I love the outdoors (well, summers in AZ are tough, but if we can get away to cooler ground we do!) and we also love our time together reading, playing board games and hanging out in our back yard enjoying the pool. As much as we both love to cook, it’s not the leading priority. But, we do have to eat to survive, and as an added bonus we LOVE the food we eat. Getting our fruit in the morning is very important to us. A wide variety diet is best and will please you, your taste buds, your tummy and your body will reward you by returning to its desired state. Last night Lee and I had a very easy, but delicious dinner: Baked potato, grilled BBQ onions, broccoli and pea soup. It was simply dee-lish, we were happy and satisfied! Health, happiness and weight loss are the rewards of healthy eating. Don’t look at it as dieting, look at it as you are changing your way of thinking and from now on you are going to respect yourself more – as it should be. The weight will fall off, and one day soon you can look at your ‘before’ pictures and read through your journal. You will laugh and cry, but most of all you’ll be proud of yourself! Here’s to a thinner you! YOU CAN DO IT! Hail Merry, Too Good To Be True, But It Is! It is amazing how many new ME-ganly delicious foods there are on the market these days. As much as I want to stay all-nat-ur-al, there are times I just have to have my fix of premade, prepackaged, almost devilish treats! I saw an ad in one of my gluten free magazines the other day for this product line made with coconut oil, called ‘Hail Merry.’ At first I was like…oh man, I’m not sure I approve of that name, it’s sacred, but I know they’re trying to be cute. I must say, after trying the mint chocolate tart last night, I’m real happy! This is one of those treats that are just too good to be true, but is true. One little tart was about $4.00 out the door, but we cut it into quarters and each ate a piece – that means we still have 2 pieces left for tonight, YEAH! That’s all it takes anyway to satisfy the yummy factor craving. There is something about gluten free vegan chocolate, it only takes a little to hit the spot; 1 chocolate bar from Trader Joe’s lasts me almost a whole month – no kidding. They are flat and sectioned into little break-off pieces; I can only eat one piece at a time because they’re so rich. I can’t believe I would eat a whole Snickers or Three Musketeers in the old days! Here are some pics to salivate over! ME-ganly yummy love to you! I love the word UMAMI…just say it a few times, get to know it and then you’ll be saying it over and over in your head. It’s pronounced EW (as in ‘gross’ AND rhimes with GEW – as in ewy gewy) -MOMMIE. Umami sounds like a cartoon, or the name of a character, doesn’t it? What you may or may not know is that it is very much real. It’s a word used to describe one of our five basic tastes: Sweet, Salty, Bitter, Sour…and Umami makes five. The word is universal in all major languages. Umami says “pleasant savory taste.” It is also used to describe a meal or dish as having a brothy or meaty flavor, with a long lasting bite to it in your mouth and over your tongue. Umami gets this character from the amino acid L-glutamate and 5 ribonucleotides such as guanosine monophosphate (GMP) and inosine monophosphate (IMP). Foods containing naturally occurring glutamate are meats and vegetables. I find it all so fascinating that one day in 1908, a professor by the name of Kikunae Ikeda discovered its existence. How many more flavors, tastes or descriptions can we find if we really put our minds to it? MSG has been known for its means of reaching umami, but certainly not the only venue and not a very good choice. For example, a basic tomato sauce has lots of umami, but when you add mushrooms it has considerably more; there is no MSG either way. But, then again, there are debates as to whether MSG is the same as the naturally occurring free glutamates that are found in food. MSG has distinct traits; it can make a person puffy, give them a migraine, make them feel dizzy, dehydrated, and even give them brain fog. The medical community widely advises to stay away from MSG, especially those with ADD/ADHD. Many culinary experts see MSG as a cheap stand-in for high-quality ingredients and good preparation – the mark of a compromised food product or dish. Let’s DUMP the MSG it’s not so umami after all. Do ME-gans experience the secret flavor of umami? Sure! For example, try drizzling gluten free tamari sauce over marinara. This powerhouse fifth flavor will kick your Italian delicacy into a new dimension. Being that many people struggle to define umami, the terms most often used are: savory, meaty or rich. Roasted shiitake mushrooms often own up to the description. Lately, umami has taken on the reputation as being exotic and therefore causing a rise in interest, creating this wave in ‘all things umami.’ I can see it now, a group of sassy girls walking down Rodeo Drive, spot a dress in the window – its colors are breath-taking, it jumps out at them and screams “it’s all about YOU!”… they have no idea what the price tag reads and don’t care. They look at each other and scream “It’s umami! !” and all run in to try it on. Hahahahaaa, right? Can’t you just see the word expanding to not only mean unique & awesome in flavor, but in all things? I sure do! Or how about this, your best friend calls you up Thursday afternoon and says “Trevor, what are you doing this weekend? We have to take a trip up the coast in my new car, it’s umami!” LOL!! I found this recipe today that sounds so YUMMY, I think I will try it and experience the umami buzz! Here’s the link, perhaps you’ll want to sample it too! Click here: Mushroom-Chickpea Burger. Need A Powerful Read For The Summer? Get your summer HEALTH groove on now and learn about The ME-gan Lifestyle! This motivational and inspirational book, inspired by God and written by Mary Bortel, will ease you into change. We can’t hold on to the past if we want to move forward, and letting go does not have to be hard. You are in control of your world, so put yourself first, listen to your body and start getting answers. So what if your symptoms have seemed to stump the medical world thus far, and relief has not been offered? Don’t give up…do just the opposite. Look in the mirror and vow that TODAY will be the day your life changes for the better. It’s all up to you – fight the fight and live happy and healthy once again; reversing YEARS of damage! Sizzling HOT summer special – $9.99! Now that summer has arrived and vacation is right around the corner, this will be the perfect “on-the-go” read while you’re traveling, or sitting on the beach once you’ve gotten there. Click here to pick up your copy today! Today kicks off the 1st Annual Gluten Free and Celiac Awareness Week Arizona! What a great cause and a perfect time to launch it! If you ask me, gluten is mainly found in junk food, or put it this way…in food you can certainly live without! We’re talking pre-made packaged foods, whether it is canned, boxed, fresh or frozen – it’s most likely there. Take a look for yourself and start reading labels. Avoid ingredients with “wheat” in the name, with the exception of ‘Buckwheat,’ including: wheat starch, modified wheat starch, hydrolyzed wheat protein, and pregelatinized wheat protein. Malt – which is usually made from barley, and malt syrup, malt extract, malt flavoring and malt vinegar. Anything breaded, floured, or marinated. Unless you can read the ingredient label don’t chance it. Most sauces and marinades contain gluten such as soy and teriyaki sauces. 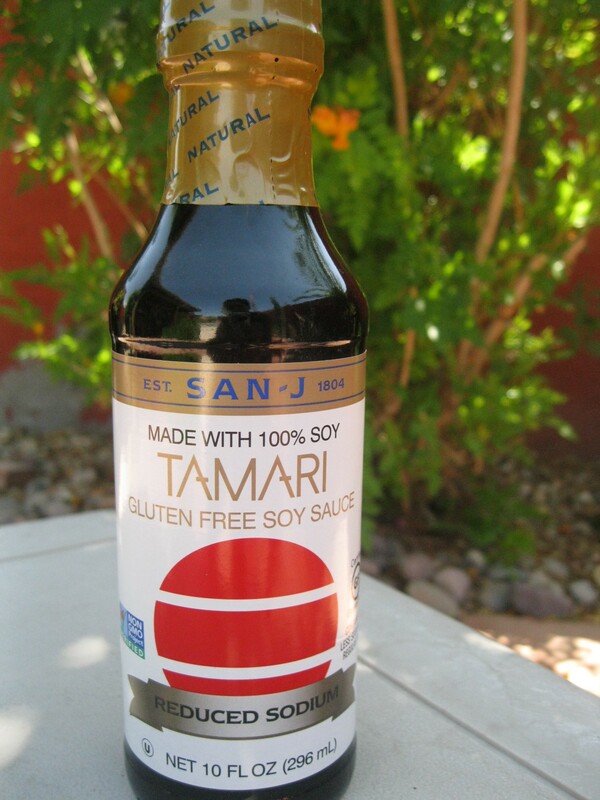 There are gluten free versions available – San-J (click here to go to their site) is my favorite brand. Beer – made from barley. There are gluten free beers available, and they are excellent. Redbridge (click here) is one of my favorites. Carmel color has been a debate, but I’ve read that if the product is made in the US then the carmel color is made from corn, therefore you can consider it to be gluten free. Hydrolyzed wheat protein obviously is not gluten free, but “hydrolyzed soy protein” is gluten free. Annatto, glucose syrup, lecithin, maltodextrin, oat gum, plain spices, silicon dioxide, starch, food starch and vinegar (just not malt vinegar). Also, citric, lactic and malic acids as well as sucrose, dextrose and lactose. Gluten free baking products include: arrowroot, cornstarch, guar and xanthan gums, manioc (tapioca flour), potato starch flour and potato starch, vanilla. Of course meat, fish, poultry, dairy, eggs, potatoes, fresh fruits and vegetables, nuts, beans, and legumes are all naturally gluten free. This may seem like a lot to learn for those of you who are just being diagnosed, or perhaps are going gluten free for other reasons, but just remember, you’re not alone. There are many support groups available, and if you start asking around you may find that people in your own circle of friends AND community are gluten free already, many dealing with celiac disease. You’d be surprised! I am here to tell you that it is really not that big of a deal. If you want to keep it the healthiest – which also happens to be the easiest way to eat gluten free, then just stay as close to Mother Nature as possible. 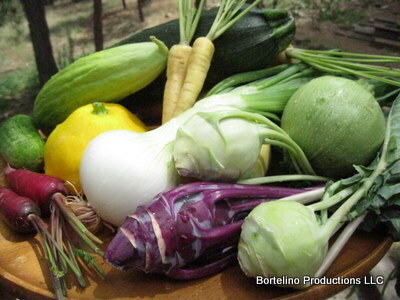 Eat lots of fresh fruits, nuts, seeds, legumes, tofu (soy – if you are not allergic) veggies and gluten free grains! It’s when you get into the processed foods, mixes, sauces, mock foods, detailed recipes and so forth that things get sticky. But if that’s what you prefer, then just READ LABELS! The health that you will reap far outweighs anything that you are leaving behind. Out with the OLD…in with the NEW – and there you will find a happier and healthier YOU! Please feel free to leave a comment and add any gluten free advice you may have for those who are searching and/or just beginning their journey! Also, feel free to ask a question, perhaps I or a fellow reader can answer you. ME-gan and all natural gluten free Mother Nature goodness LOVE to you!